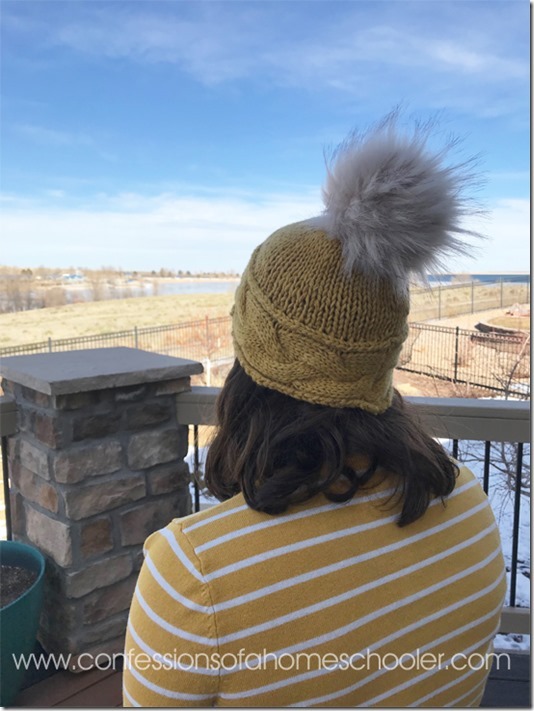 Hi everyone, I have a fun new knitting pattern to share with you today! 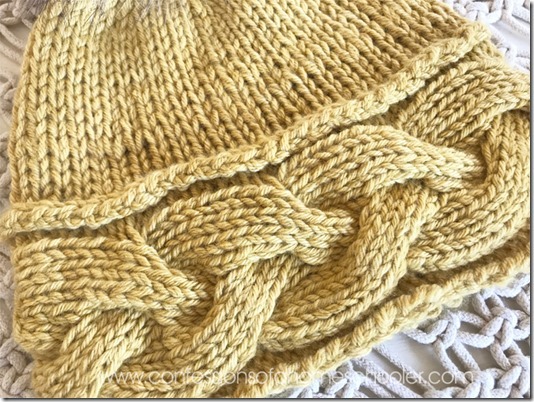 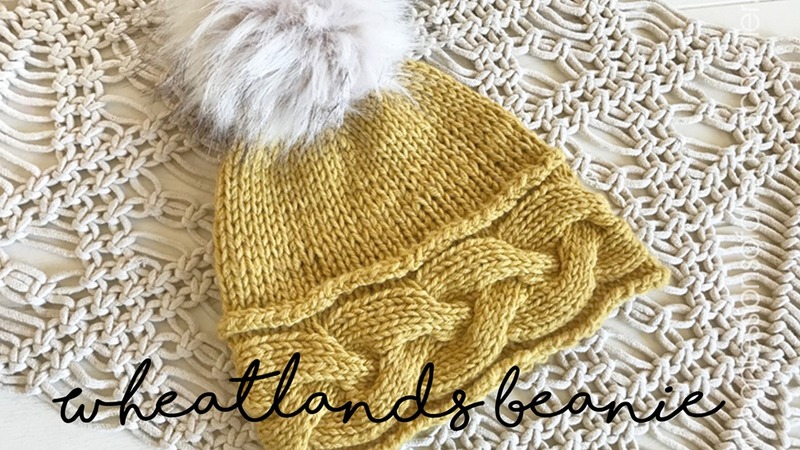 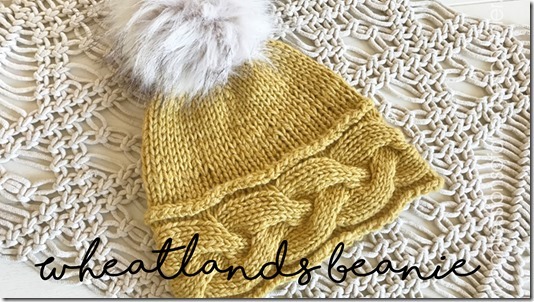 I’m calling this one The Wheatlands Beanie, probably because of this rustic mustard color I chose! 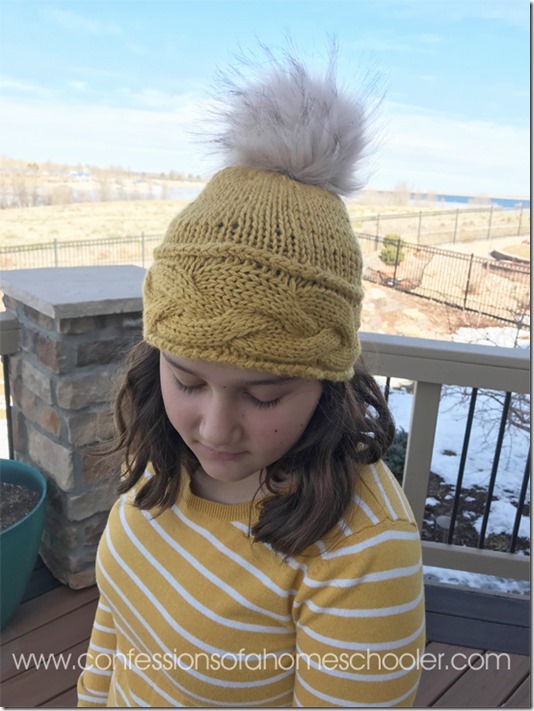 It features a fun sideways braided cable band with a simple knit stitch and a fluffy faux fur pom on top! 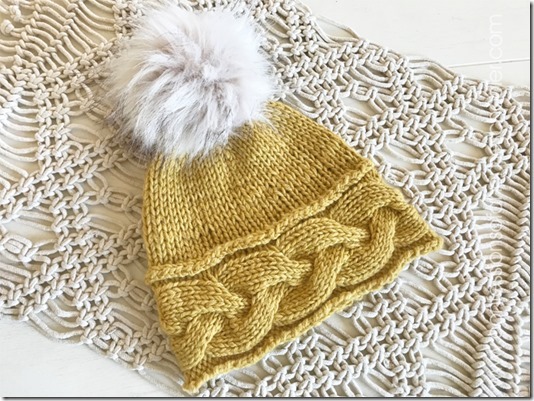 This pattern is fairly easy, but you will need to know the basics of how to knit, purl, cable, and pick up stitches. 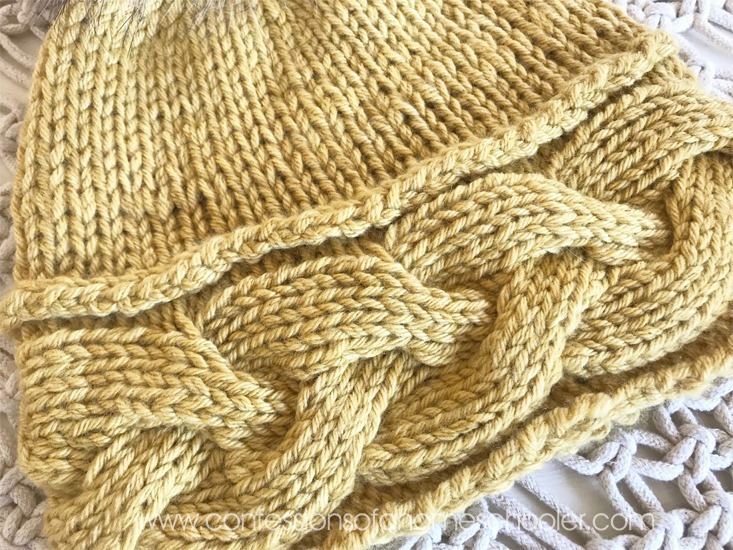 I would still categorize it as a beginner friendly pattern and you can always look up a YouTube tutorial on how to do each of those tasks if you’re unsure! 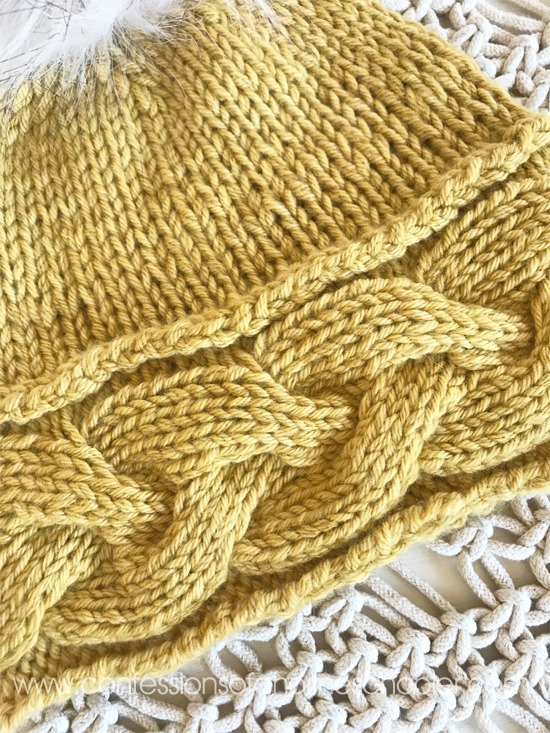 The pattern calls for a bulky weight yarn, but I just held two strands of DK together to give it this soft squishy look. Isn’t this faux fur pom lovely? 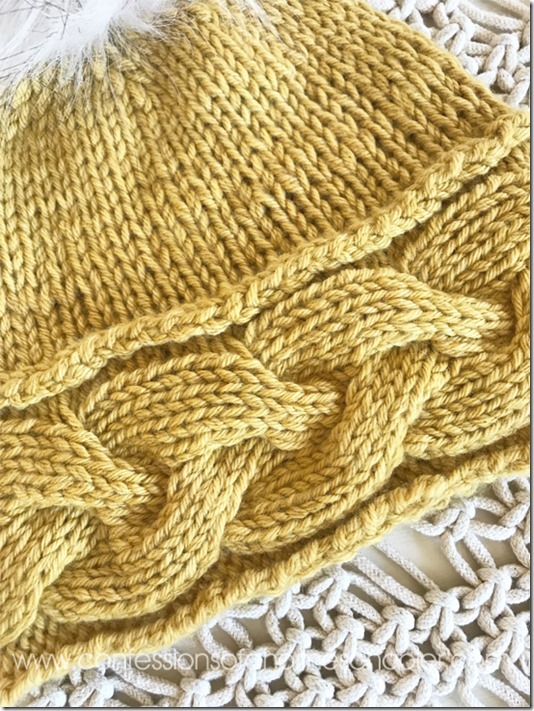 It has darker tips on the soft natural color which make it extra special! 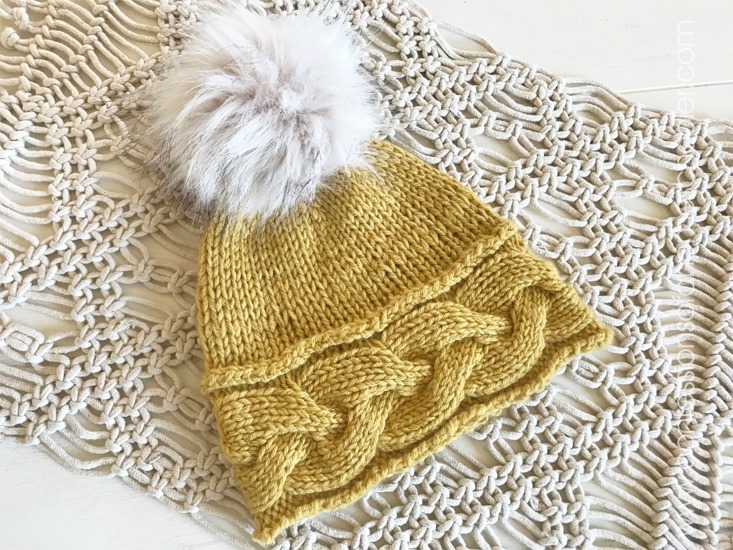 I got this pom from Colorful Yarns Knit Shop whish is my local yarn shop. 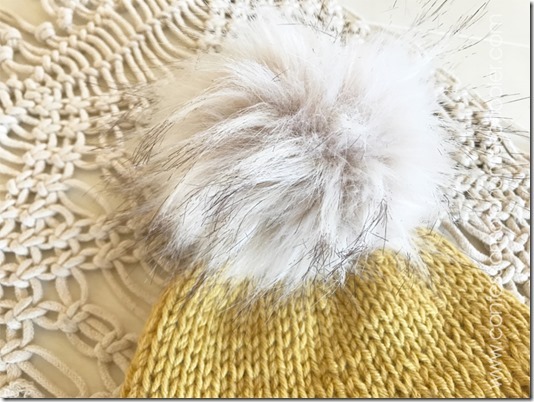 They have a huge selection of fun poms! 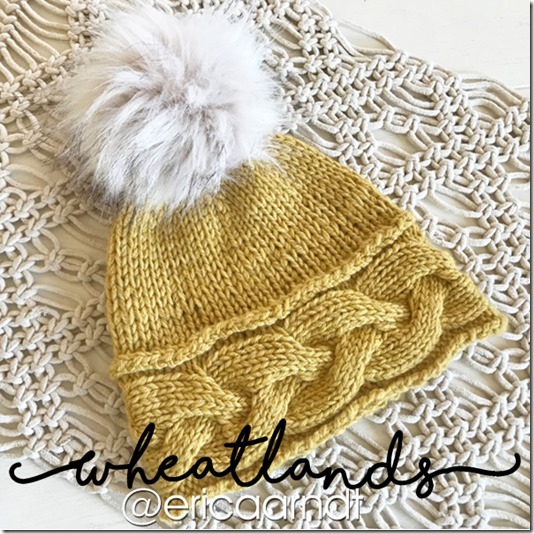 Download the Wheatlands Beanie Pattern here!